On Aug. 6 of last year, an employee at the Chevron Richmond refinery noticed a puddle on the ground, the rough draft of a federal investigation says. The culprit: a five-foot carbon steel pipe leaking light gas oil 14 feet overhead. A group of managers and firefighters gathered to assess the situation. With no way to isolate the leak, a firefighter attempted to clamp the leak and pull away the pipe’s insulation using a pike pole. At that point, no one saw a need to shut down the unit, the investigating agency U.S. Chemical Safety Board found. The firefighter’s pike pole likely punctured the pipe, worsening the problem. After further attempts to fix the damaged pipe, installed in 1976 and now corroded to a dangerous thickness, failed, Chevron staff decided to shut down the unit. They were too late. A dense hydrocarbon cloud streamed from the pipe and engulfed 19 workers. Two minutes later, the cloud ignited. A firefighter trapped in his truck radioed for help. Hearing no response, he thought everyone else was dead and he fled through a “wall of fire,” according to an animated video from the U.S. Chemical Safety Board that recreates the incident. Friday night, investigators from the CSB walked through the moments before the fire to show how, they said, decisions made by Chevron both on Aug. 6 and in the decade before led to the massive – and preventable – fire. In the long hearing in the Richmond Memorial Auditorium, the CSB approved a rough draft of conclusions and safety recommendations from their investigation. A final report will be released later this year. 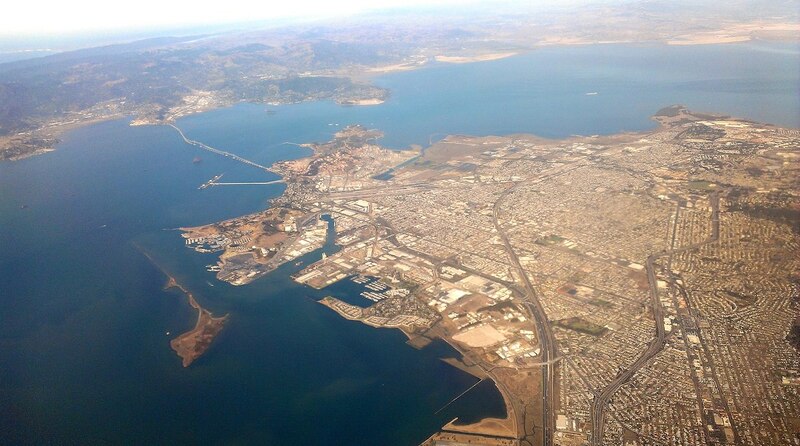 The fire at the Richmond refinery burned for hours that evening and sent a plume of smoke over Richmond and El Cerrito that could be seen from San Francisco. Over the coming weeks, more than 15,000 people sought medical attention after being exposed to the smoke. No one at the refinery was seriously injured or killed in the incident. The CSB determined the aged carbon steel pipe had thinned to the point of failure due to sulfidation corrosion. Carbon steel bears a particular risk of this kind of corrosion, and the low silicon-content in the pipe in the No. 4 crude unit at the refinery only accelerated the corrosion. The oil giant said it is cooperating with the CSB’s safety recommendations, the progress of which can be tracked on its website. The CSB said “permissive” requirements and the lack of a transparency allowed for the lapses in Chevron’s inspection process. In 2002, company inspectors failed to document thinning pipes in the crude unit and in 2011 the company inspected some, but not all, sections of the unit. The CSB provided several safety recommendations, some urgent, to Chevron and to the State Legislature, Contra Costa County and the Richmond City Council. To Chevron, the recommendations include employing “Inherently Safer Systems,” meaning the plant must use the best technology when repairing or replacing parts of the refinery. The state Department of Industrial Relations will oversee a new data-sharing system between 1,600 refineries and chemical plants in California. The idea is that transparency will drive safety in such plants, presenters said Friday. The CSB also recommended the county and city adopt more stringent regulations and require more transparency from Chevron. A Chevron representative did not speak at the meeting, but refinery manager Nigel Hearne said recently the plant is taking steps to avoid future incidents. Mayor Gayle McLaughlin, speaking to the CSB, said the fire damaged the health and image of the city. In her six-minute speech, McLaughlin compared Richmond’s relationship with Chevron to that of an abused spouse. McLaughlin said she plans to introduce a revised industrial safety ordinance to the City Council on May 21. North Richmond resident Dr. Henry Clark of the West County Toxics Coalition called for more accountability from corporations.